It's really all about the dogs whether they be flushing or pointing breeds, our dogs make the hunt. For many they are the only reason to hunt, their ability to locate game, retrieve and find wounded game make them an undeniable conservation tool. In understanding the relationship with you and your dog, we welcome you to bring your dog or dogs to join you on your hunt and hunt them accordingly. Each guide will have dogs available to assist or help break up the day between covers. Steve became a professional, back in 1979, as an all-breed trainer where his program developed by training hundreds of dogs, both flushing and pointing. His success and good fortune were inspired by working with incredible mentors, influential dog-men like J.D Marti of Burnt Creek Setters, Bob West – Purina, and Delmar Smith. 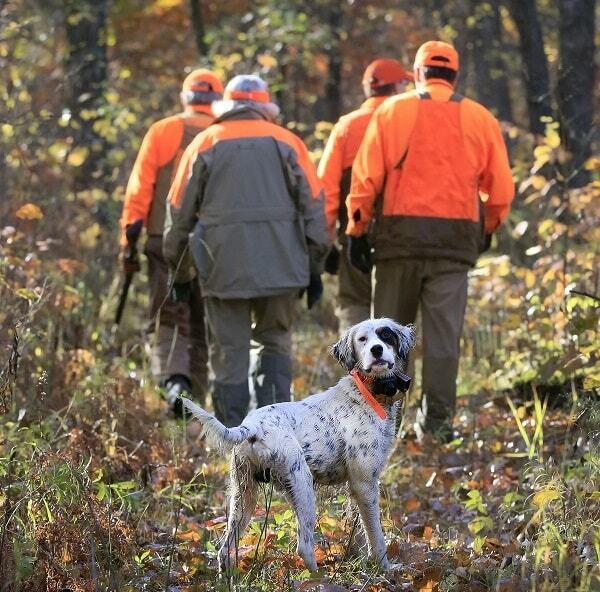 Steve became a field consultant in 1989 for Purina in the sporting dog group, with a niche in grouse/cover dogs. For 20 plus years, Steve attended all the major field trials and conducted seminars across the US for local groups, the Ruffed Grouse Society and National Hunts, including the Grand National Ruffed Grouse and Woodcock Hunt and the Grand National Quail Hunt in Enid, OK. Participating in field trial, as both a handler and judge, he has had the opportunity to see the best of the best, including the honor of judging the New England Woodcock Championship in back to back years. 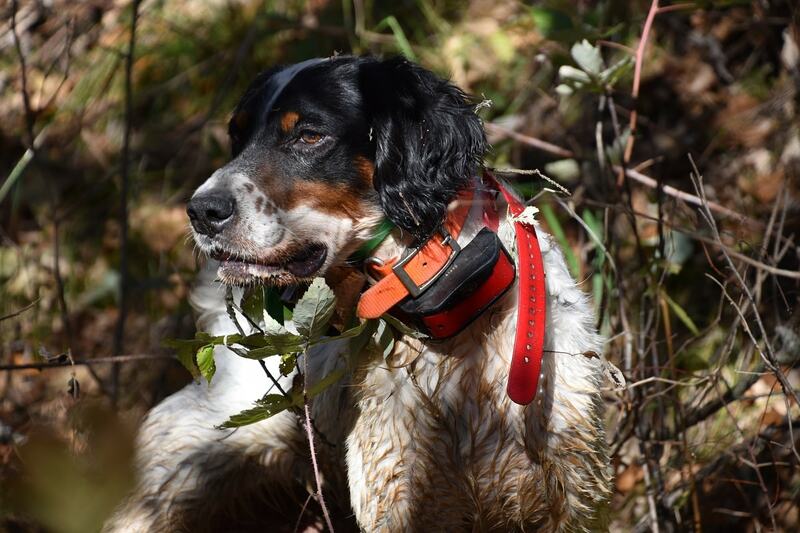 The work with Burnt Creek Setters emphasized the setter’s ability to handle grouse and woodcock with incredible consistency and, in many circles, became the ambassador of grouse and woodcock covers. The success of Steve’s English Setters, as guide dogs, has become a cornerstone of success at both lodges. The dogs hunt for the gun, are well mannered, and find birds. Indeed; they are a pleasure to hunt over. 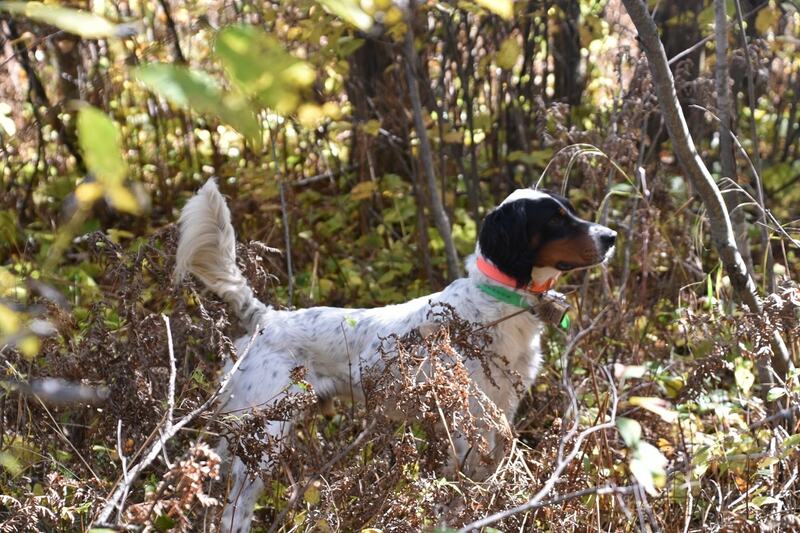 Perhaps the greatest acclaim came in September of 2015, when author, Mike Gaddis, wrote a mini-documentary highlighting the greatest of grouse dogs to sweep the covers at the famed “Grouse Lodge” of Little Moran entitled “The All-Time Greats of Little Moran.” The documentary highlights what made these dogs stand above the rest, as there have been many great grouse dogs, with many more to follow at The Grouse Lodge. These are the foundation dogs that have set the bar. The kind and fond memories of these dogs will be told around the dinner table for years to come; however, there will surely be more great dogs added to the list….those of now and those we have not yet met. Steve still trains for clients; however, the training is specialized for pointing breeds with a focus on wild birds. Our training advantage is the ability to train on so many wild birds, in both MN and SD. The opportunity on wild birds is what truly makes the dog. Finished and started dogs are available from time to time at the kennel. Puppies are not sold, instead we keep entire litters, training them as new guide dogs in order to keep a fresh string of guide dogs for both lodges.